Crab Claws & Cocaine: Need a home phone? You need this. Need a home phone? You need this. This little box plugs into your internet router. Then you plug your regular old (land line) telephone into it. Then you have free phone service over your internet connection. Don't pay Comcast or somebody else for phone service! The only caveats here are, you have to set up a Google Voice account (which isn't hard), and if you want 911 to work you pay something like $15/year. It's still stupid cheap, and Google Voice is pretty slick. 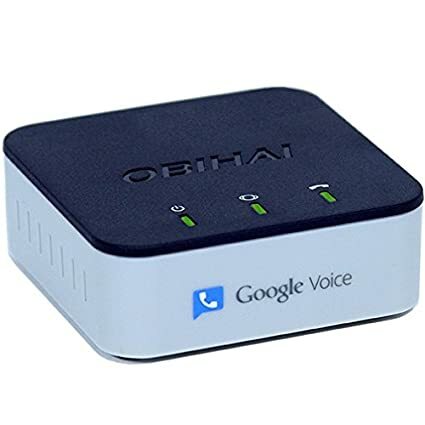 My wife and I have used Google Voice for years, and we have an older version of one of these boxes, powering our home phone (which exists only to answer intercom calls). It works great! After we first moved into our new place, we got a landline phone, because she needed one for radio interviews. But it was like $28/month for something we used for about 60 minutes each month. It's just crazy to pay that. So I dug out and reconnected our Google Voice phone instead. You should buy one of these: They're only about $50 at Amazon.